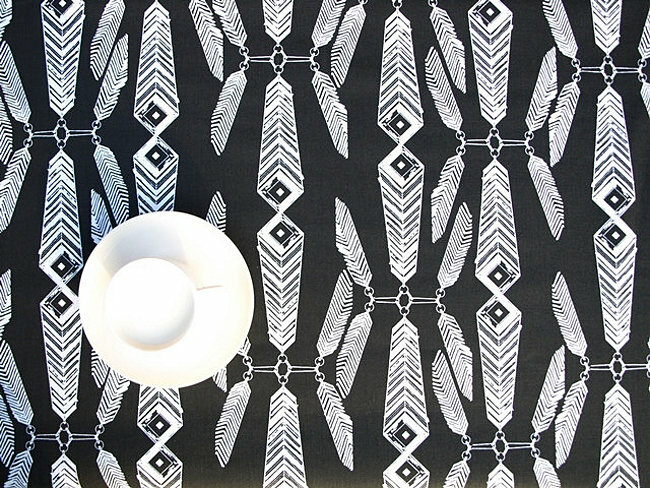 Let’s start with tablecloth selections in solid black! 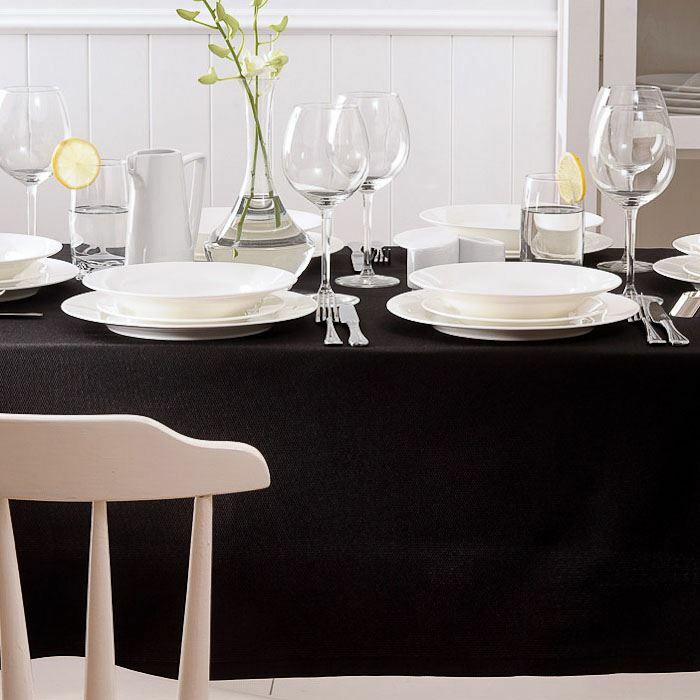 This Black Linen Tablecloth from Linen Home is classic and chic. 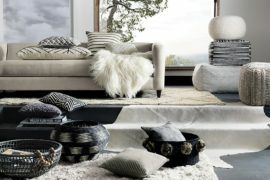 As you can see, it beautifully offsets bright whites, creating dramatic contrast. Not to mention, it’s available in a variety of sizes, as well as custom order options. 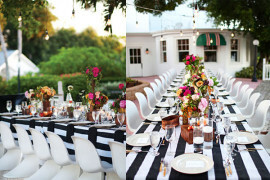 The Black Leather Dot Table Linen from Candy Crush Events creates a striped, sequined look, especially when layered over a plain white tablecloth. Choose from an array of sizes, including custom options. 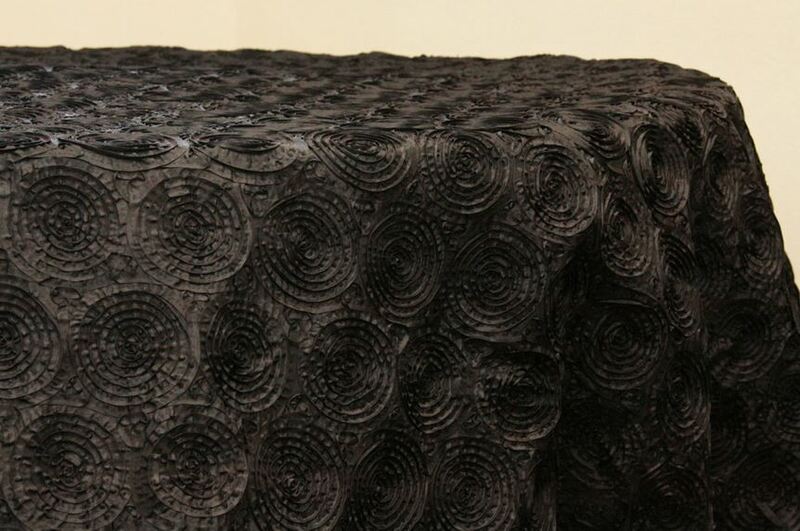 Rosettes reign on this black taffeta tablecloth from D&G Decor. In fact, this selection looks a bit like icing on a cake, but we assure you it’s not edible! 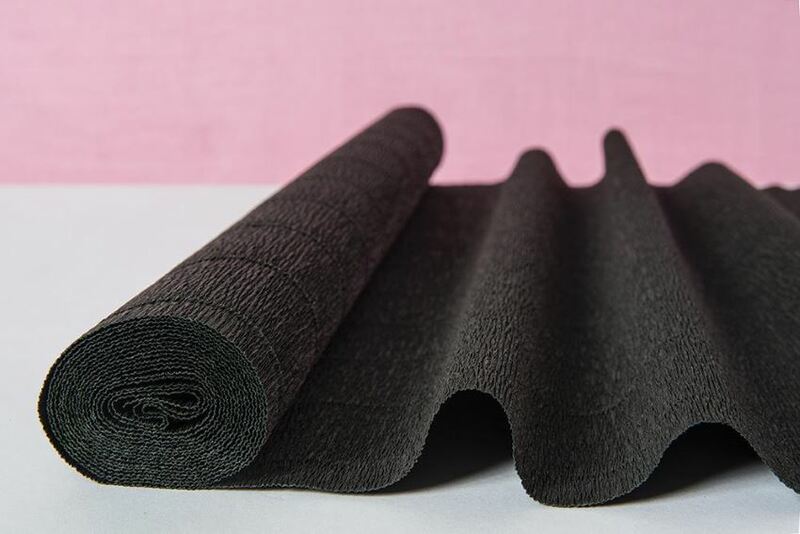 For a budget-friendly option with amazing value, try a crepe paper roll from Taara Bazaar. 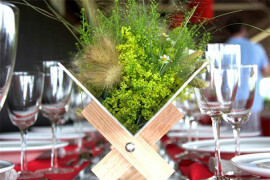 Simply unroll, and then use it to create table runners for your next festive event! 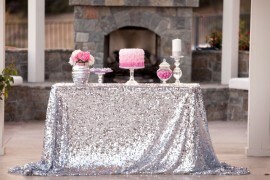 Sequins are quickly becoming a preferred party accent, and there’s no denying that this black sequined tablecloth from Candy Crush Events is the epitome of elegance. 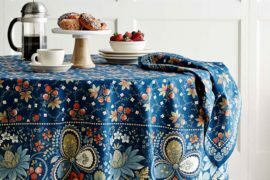 Bonus: it’s available in a variety of sizes so you can choose a selection that’s perfect for your fete. 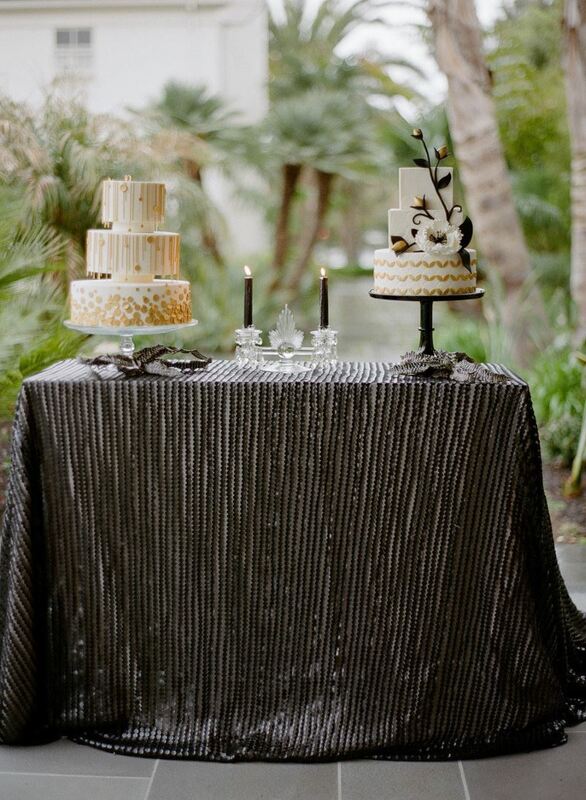 Sequins and stripes combine in this black and silver sequined tablecloth from Bella Boutique. 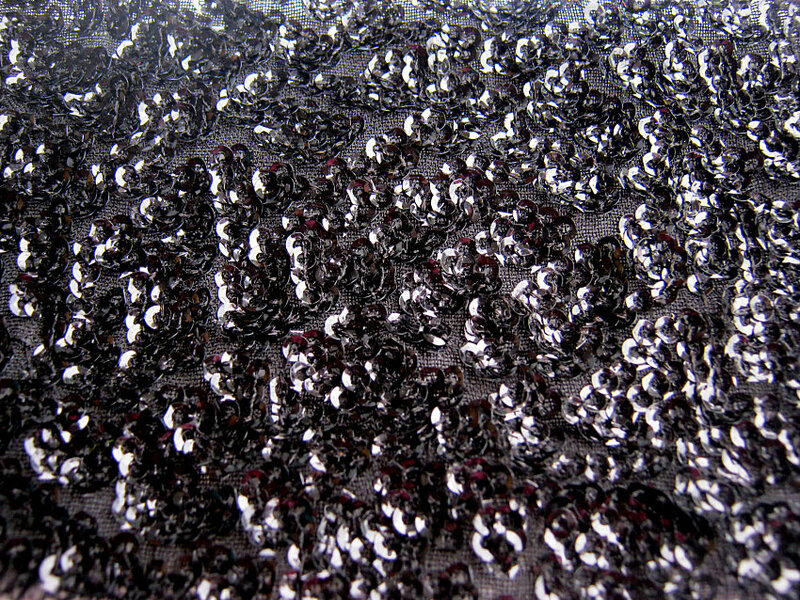 Made to order, this 120″ round piece is covered in tiny sequins, creating a striking display of light and dark! 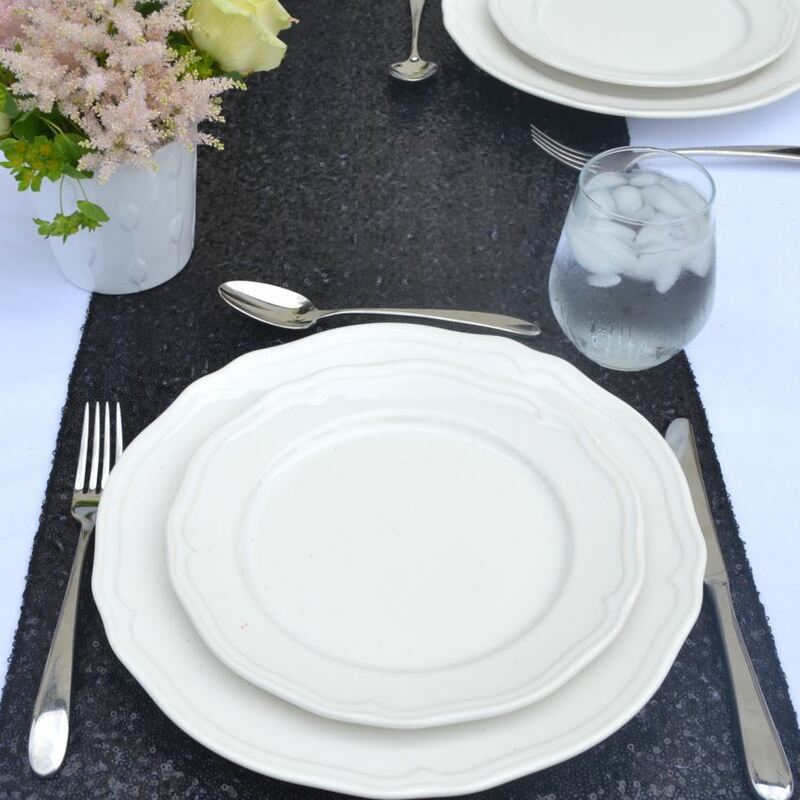 If you’re looking to dial back the bling but you’d still like the sparkle, check out this Black Sequin Table Runner from The Sweet Hostess. 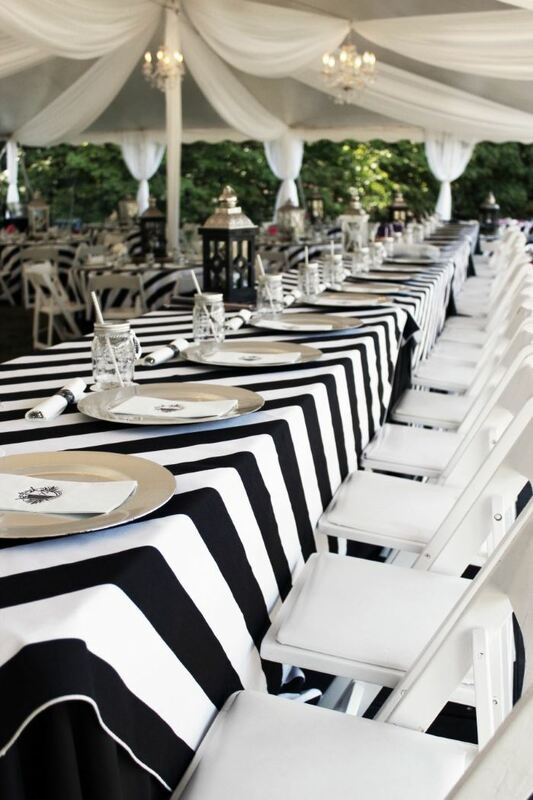 No need to cover the whole table when a sequined stripe down the middle can be equally dazzling, especially when paired with a white tablecloth. 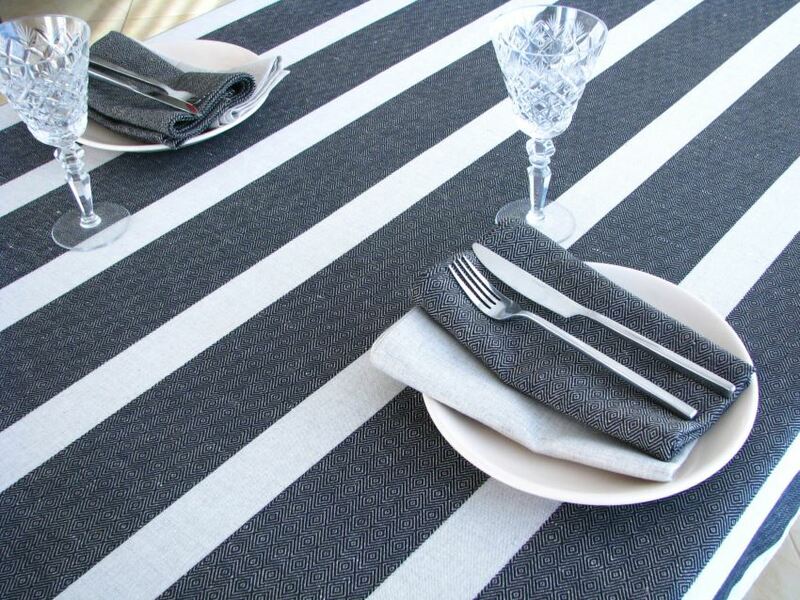 For a different look featuring larger black stripes, check out Linen Thread‘s black and white striped tablecloth. 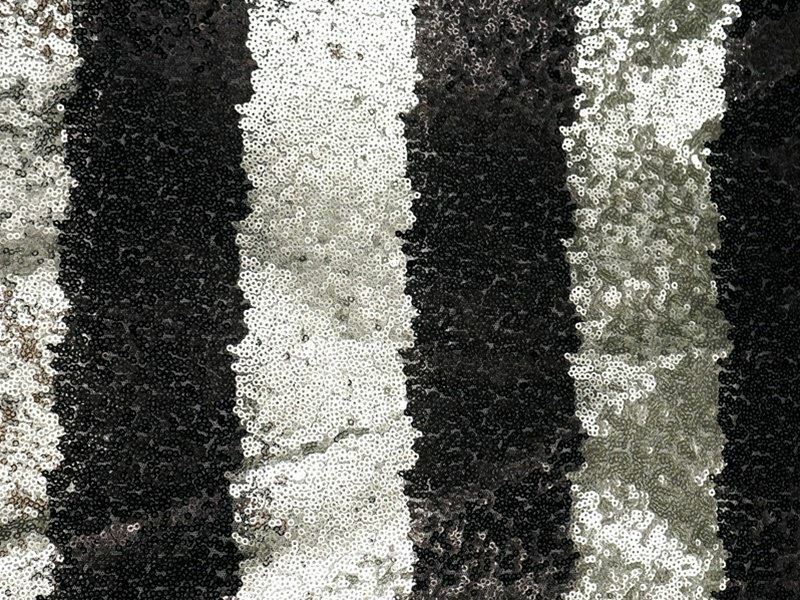 Pure linen creates a natural touch, while a rhomb pattern on the black stripes adds the perfect dash of intricacy. 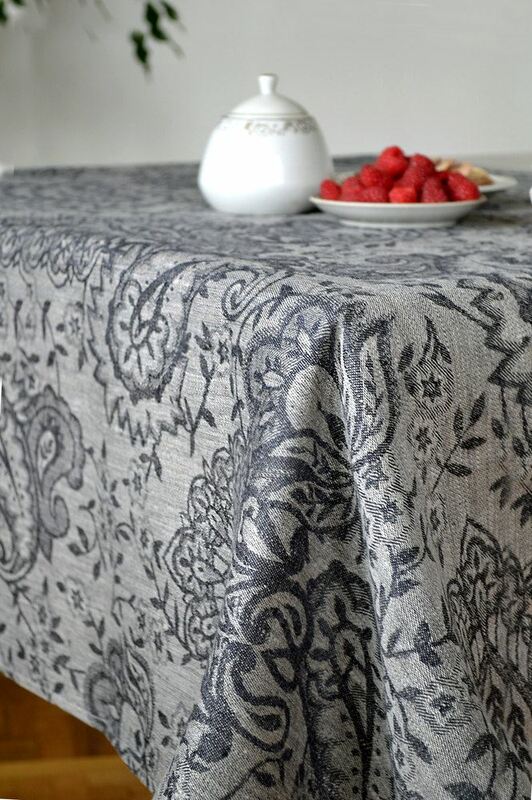 Not to mention, the tablecloth has even been pre-washed to avoid possible shrinkage! 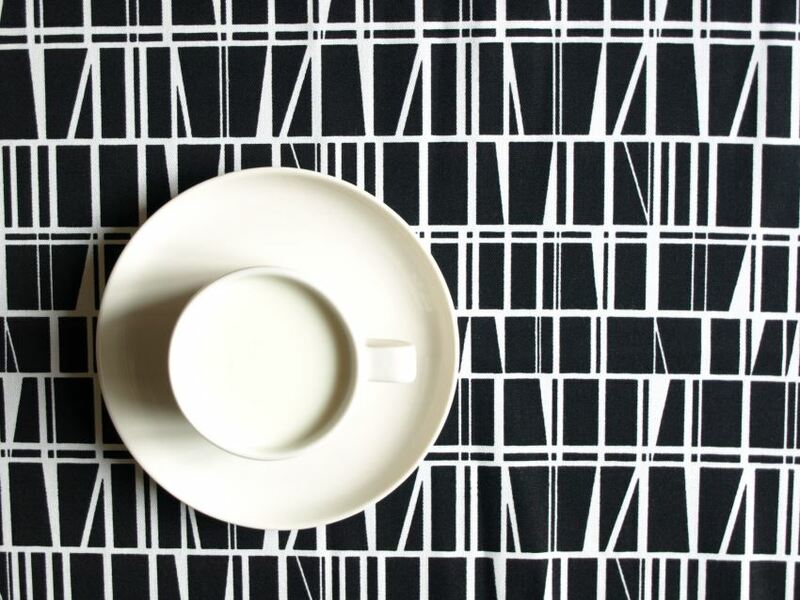 An abstract design with Scandinavian style adorns this black and white abstract tablecloth from Dreamzzzzz. Made from 100% cotton, the piece is available in a range of sizes, including custom options. 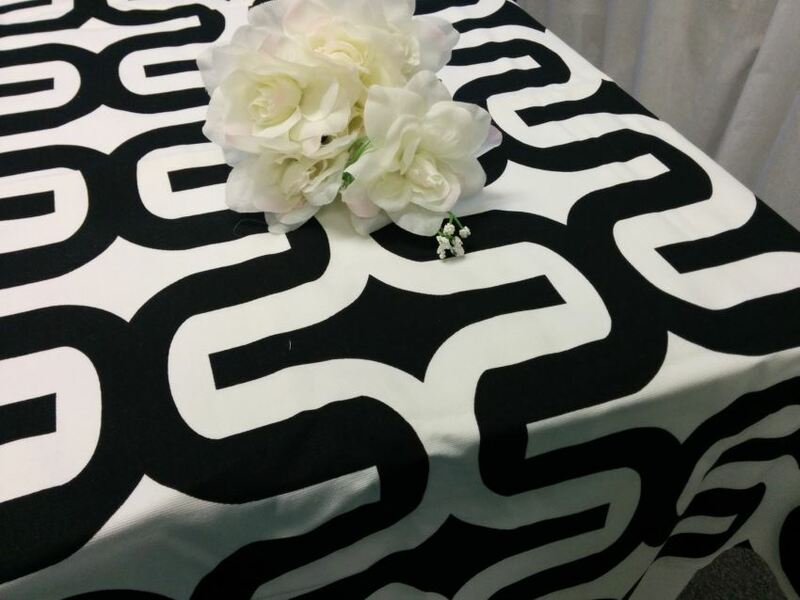 A retro-style geometric pattern takes center stage in this large geometric tablecloth from Fantasy Vintage Bridal. 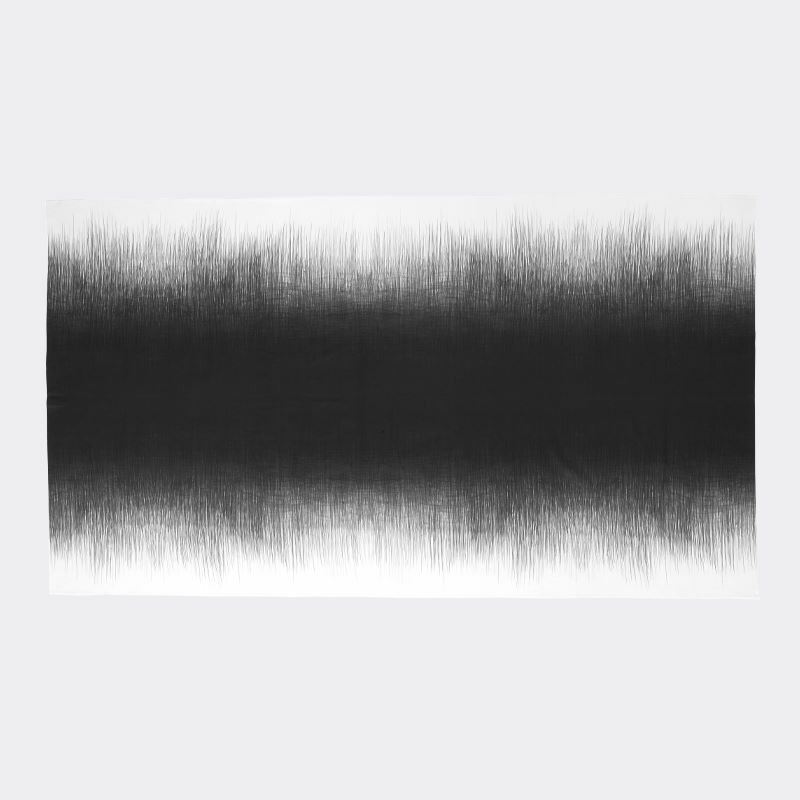 Not only is this 100% cotton piece a true focal point, it’s available in a variety of colors and lengths. 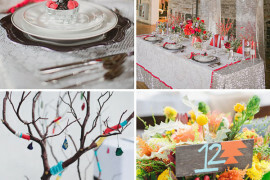 Put a unique vintage spin on your next event! 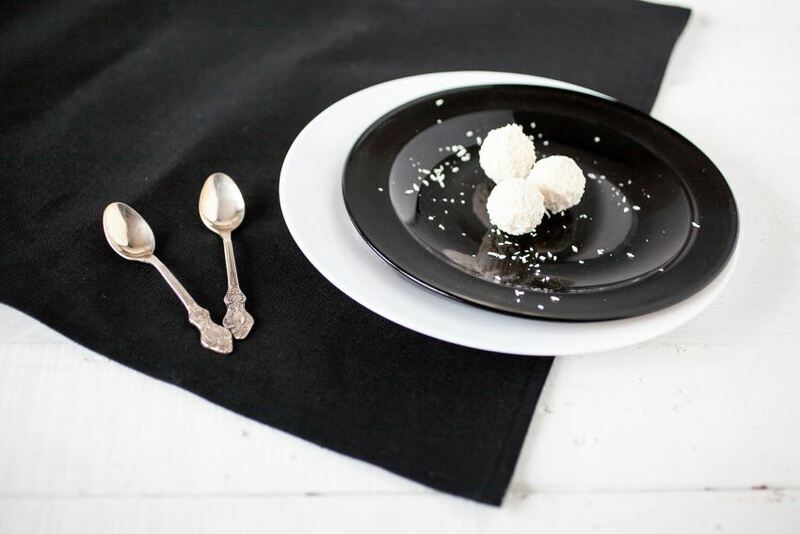 The natural beauty of 100% pure linen combines with the decadence of damask in Linen Life Ideas‘ black linen damask tablecloth, creating an elegant backdrop for food and dishes. Lavish without entering over-the-top territory! 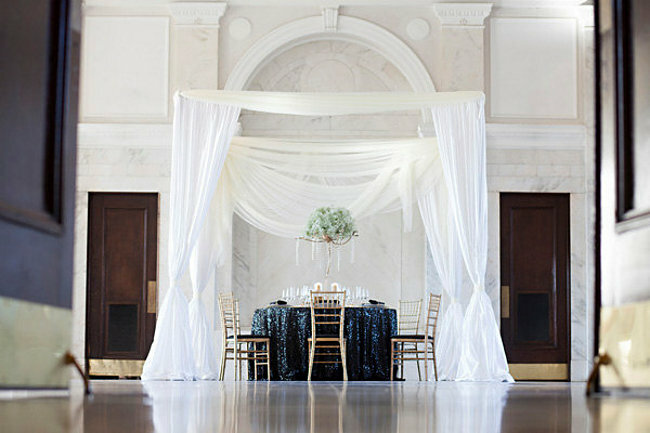 Ready to add some classy drama to your next event? Hopefully today’s post has sparked your creativity. Happy entertaining!